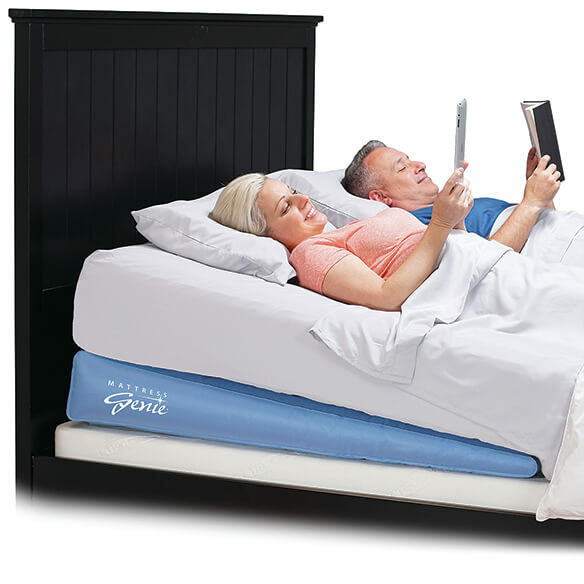 Mattress Genie Incline Sleep System is an affordable way to transform any bed into an incline sleep system! 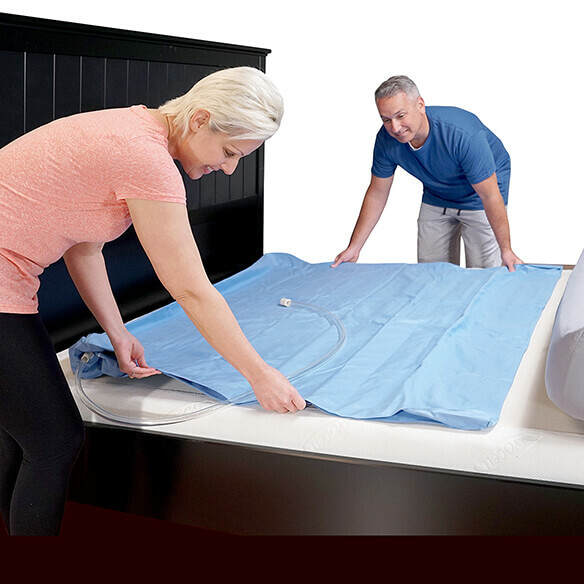 Inflatable bed wedge can be placed above or under any traditional mattress to gradually lift your upper torso 6"–8", the ideal elevation for relieving symptoms of acid reflux, GERD, heartburn and digestive problems. Orthopedic wedge allows you to have an adjustable mattress and also supports your hips as you sleep, helping to relieve pressure from your joints, stomach and abdomen. Perfect for helping side and back sleepers get a comfortable night's rest without sliding down. 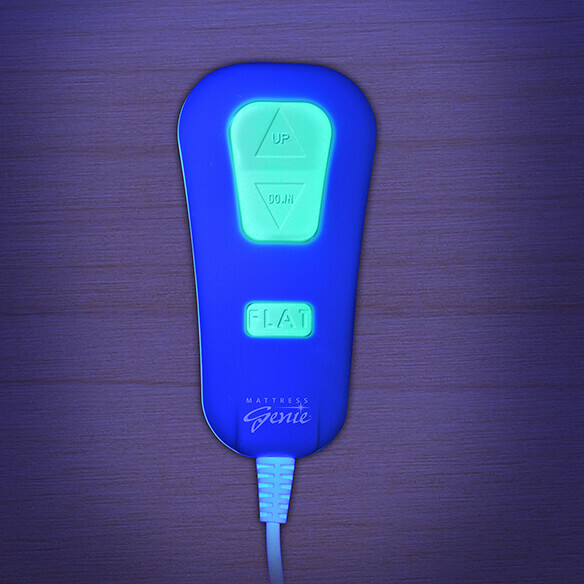 Illuminated handheld control allows you to raise, lower or return to flat with one touch. Great for reading and watching TV, too! 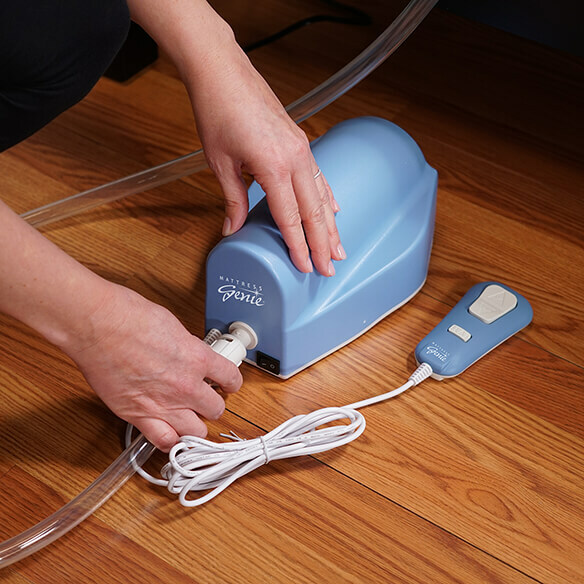 Inflates in minutes using the included electric pump. 48"L x 8"H; width depends on bed size. what are measurements of twin inflatable wedge? BEST ANSWER: Thank you for your question. It is 48" x 37" x 8". We hope this information will be of help to you.